Pipe Organ Dismantling at Aungier Street. 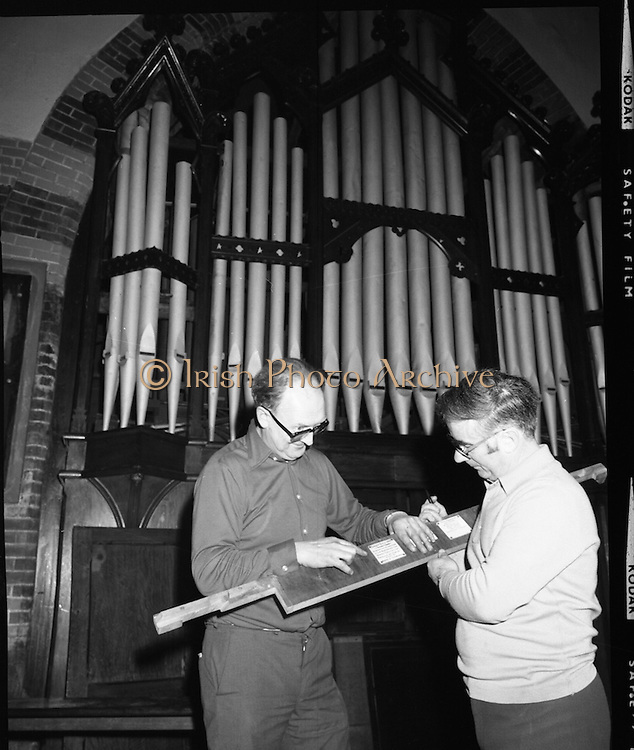 (K86).1977..01.02.1977..02.01.1977..1st February 1977..A pipe organ built around 100 years ago for St Peter's Church (Church of Ireland),at Whitefriar / Aungier Street was being dismantled by Mr Gerry Smith and Mr Sam Wright of Dublin Organ Works. The organ was being dismantled for transfer to St Michael's Church,(Roman Catholic),in Blackrock,Co Cork..Sam and Gerry are pictured starting to dismantle the face of the organ.